School Calendar Click here for Thompson’s Google Calendar to get school holidays, early release days, and PTO events on your own calendar. Click here for a printable version of this month’s calendar. 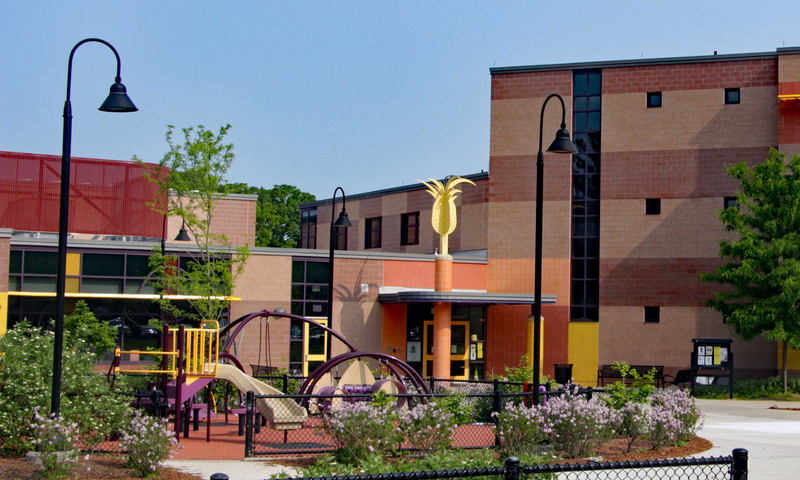 The Arlington Public School Calendar is @ www.arlington.k12.ma.us/calendar. Important News About Amazon Fundraising As of April 2019, the Thompson School PTO is no longer part of the Amazon Associates program. But you can still support the school with Amazon Smile! Amazon Smile is operated by Amazon and provides the same product selection, pricing, and convenient shopping. When you start your Amazon shopping at smile.amazon.com and choose Thompson PTO as your charity of choice, the Amazon Smile Foundation donates 0.5% of the price of eligible purchases to the Thompson PTO. Amazon makes a direct deposit into our PTO bank account each month. We then use that money to support all of the school programming the PTO organizes: enrichment, field trips, school supplies, and more. Your Amazon Prime membership still applies, too! Monday, April 22 – Friday, April 26: All-Schools Textile Recycling Competition All Schools will be competing to collect the most textiles during the competition week and to win a prize and town recognition. Drop off your textiles (all old, worn, torn clothes, shoes, bedding, stuffed animals, etc.) to the Bay State Textiles collection bin outside Thompson School (Everett Street side) from April 22-26. Here is more information about textile recycling and why it’s important: https://www.mass.gov/guides/massdep-textile-recovery https://www.smartasn.org/SMARTASN/assets/File/resources/SMARTInfographTextileRecycling.pdf https://www.smartasn.org/SMARTASN/assets/File/resources/SMARTDoubleLifeofRecycledTextiles.pdf For questions about the competition, contact Rachel Oliveri, School Sustainability Coordinator, at roliveri@arlington.k12.ma.us. Green Team News Happy Earth Day! Thompson school cares about the Earth! For Earth Week we will focus on stewardship by creating pollinator habitats, planting native wildflower gardens, watering the trees, adding compost to the soil and cleaning up trash. Sign up to help the kindergartners make fairy “pollinator” houses on Thursday! (Kindergarten is collecting pine cones, bark, sticks, rocks, stones, shells, etc.) Sign up to help the 1st graders make native wildflower seed balls on Wednesday! (1st grade is collecting bamboo poles, hollow sticks, pinecones, untreated wood, and logs, ideally to fit nicely in an 8-inch deep shelf. Wood can have 5-6 inch drilled holes.) Sign up to help the 2nd graders plant gardens of native wildflowers and other pollinator plants on Friday! Sign up to help 5th graders make a bee and bug hotel and sell pollinator habitat kits on Wednesday and Friday! Send your K-1 students in with sustainable garden treasures! BEE a steward of the Earth and sign up for our first all-school garden day on Wednesday after school, 2:30-6 pm! Bring a wheelbarrow to buy compost for your garden! Buy native wildflower seeds to plant your own pollinator garden! Learn how to make a DIY bee and bug hotel and guerrilla garden! Sign up your 4th grader for an urban tree and watering workshop and your 5th grader for a pollinator habitat workshop, 2:30-3:30 pm. Arlington Hockey Club Registration Now Open Interested in playing ice hockey in Arlington? Registration is now open for the Arlington Hockey Club’s (AHC) 2019-2020 hockey programs. These programs are no-checking. Practices are held at Ed Burns arena, while games are held at Ed Burns arena and/or in the greater Boston area, depending on the selected program. AHC’s focus is on providing a fun and safe environment to learn and play hockey for boys and girls at all ability levels. If you are interested, please visit our website for more information and registration at Arlingtonice.com. AHC practices USA Hockey’s American Development Model in its program. Saturday, April 27, 10 am-5 pm @ Pine Manor College Children, parents/guardians, educators and librarians discover and explore “kid-friendly comics,” graphic novels, and hybrid books. Special guests include Erica Henderson, Raul the Third, and Joel Christian Gill Workshops: Dynamic comic creators including Marika McCoola, John Lechner, Tak Toyoshima of Wondermore, and Dan Moynihan are scheduled to run a range of hands-on workshops on comic creation, drawing, digital comic creation, using comics in the classroom and your library, and more! Panelists: Superheroes She-Hulk, Black Panther, Star Lord, and Jack Frost (from the Rise of the Guardian comics), and A. David Lewis Food trucks: Bon Me, Melt, Chicks and Dogs Young Artists table for youths to sell their kid-friendly comics. The event is accessible via the MBTA Chestnut Hill Line with a shuttle bus running between the station and Pine Manor College. Plant a Street Tree! This spring, the Town of Arlington wants to plant 50 new street trees in the Thompson School area (out of 150 total new trees being planted in Town this spring). Request one now – click this link! The Tree Warden will select an appropriate tree for the location, and the Town will plant it with a Gator bag for watering. You’ll just need to water the new tree for a few growing seasons so it can get established. If you have any questions, please email Phil Tedesco at philip.tedesco@gmail.com. We collect Box Tops throughout the year. Each box top is worth 10 cents for Thompson. Drop off your box tops at the Thompson lobby. Every time you make a purchase, 5% of the pre-tax sale price goes to your school of choice. To sign up, see the My School webpage for details. Maxima will add an additional 2% of your purchase to your school when you sign up and make your first purchase. The Stop & Shop A+ Rewards program for the 2018-2019 school year concluded on March 19. Schools will get paid in June, and we can sign up and start earning again in September! Saturday, April 13th, 2:00 pm – 4:00 pm Join your Thompson friends at the Thompson Skating Party! Saturday, April 13th from 2:00 pm to 4:00 pm the entire Ed Burns Arena will be reserved for Thompson skaters. Bring your own helmet and skates or borrow them for FREE! Food will be available for purchase at the snack bar or vending machines. Entry to the event will be $3 per skater. The PTO needs volunteers for this event. Sign up here to help! We’re pleased to present two productions of the Phantom Tollbooth this year! Our directors and actors have been working hard, and we hope you will come see the results in our own Thompson Auditorium. The play: Monday, April 8, 7:00 p.m. THE PHANTOM TOLLBOOTH by Susan Nanus, Based on the book by Norton Juster “The Phantom Tollbooth” is presented by special arrangement with SAMUEL FRENCH, INC. The musical: Tuesday, April 9, 7:00 p.m. THE PHANTOM TOLLBOOTH JR. Music by Arnold Black Book by Norton Juster and Sheldon Harnick Lyrics by Sheldon Harnick Based on the novel by Norton Juster. Presented through special arrangement with Musical Theatre International (MTI). Tickets will be available at the door for $5 (cash only). Both shows will also be performed for Thompson students during the day on Monday, April 8. We want to thank all the volunteers and donors that make this production possible! Green Team News Thompson Get Ready to Create Pollinator Habitats! Earth Week Apr 22-26! Sign up for Garden Work on April 24 Wed 2:30 – 6 PM! Sign up for class projects throughout the week of Apr 22-26! Everyone is needed to brighten up Thompson school grounds with beautiful wildflowers gardens and fund raise for our new garden program! Watch gorgeous 4 min film of pollinators! Learn about bees! Learn how to Make pollinator habitats!, Make native wildflower seed bombs!, Check out these bug and bee hotels! The 5K run/walk, Cause + Event Boston, is coming back to Arlington on Sunday, May 12 (Mother’s Day) at 8:00 am. This race is unique – at least 50% of each runners’ registration fee is donated to their charity of choice. You can select the Thompson PTO or your favorite charity. Over the past four years, Cause + Event has donated almost $1500 to the Thompson PTO as a part of the $80,000 donated to participants’ selected charities. This is the goal race for the FitGirls program so there will be 250+ 4th and 5th grade girls running the 5K including the Thompson team! Register today and learn more at the Cause + Event Boston website. Register soon, last year the race sold out a month ahead of the race. Thompson Diversity and Inclusion Group One aim of the Thompson Diversity and Inclusion Group (DIG) is to share resources and local events that support parents as they talk to their kids about diversity and inclusion. This initial draft will continue to be revised based on feedback from the public, funding availability, and changing needs. There will be a forum on Wednesday, April 10 at 7 pm at the Gibbs School with members of the Administration and the School Committee to review and discuss the draft five-year plan. The School Committee is very interested in public feedback on the plan, including thoughts on which items might be the highest priorities and on items missing or not fully addressed by the plan. Comments can also be submitted by email to: kfitzgerald@arlington.k12.ma.us. Learn about current issues, meet Town Meeting members, and ask questions! or Pr. 5 Town Meeting Member Pat Hanlon [patrick.m.hanlon@gmail.com] for more info. Children, parents/guardians, educators and librarians discover and explore “kid friendly-comics”, graphic novels and hybrid books. The kid-centered Fest includes: a book fair & exhibitors. This year’s special guests include Erica Henderson, Raul the Third, and Joel Christian Gill Workshops: Dynamic comic creators including Marika McCoola, John Lechner, Tak Toyoshima of Wondermore, and Dan Moynihan are scheduled to run a range of hands-on workshops on comic creation, drawing, digital comic creation, using comics in the classroom & your library, and more! Panelists: Superheroes She-Hulk, Black Panther, Star Lord and Jack Frost (from the Rise of the Guardian Comics) A. David Lewis Food Trucks: Bon Me, Melt, Chicks and Dogs Young Artists Table for youth to sell their kid-friendly comics. The event is accessible via the MBTA Chestnut Hill Line with a shuttle bus running between the station and Pine Manor College. Plant a Street Tree! This spring the Town of Arlington wants to plant 50 new street trees in the Thompson School area (out of 150 total new trees being planted in Town this spring). Request one now – click this link! The Tree Warden will select an appropriate tree for the location, and the Town will plant it with a Gator bag for watering. You’ll just need to water the new tree for a few growing seasons so it can get established. If you have any questions, please email Phil Tedesco at philip.tedesco@gmail.com. Box Tops: We collect Box Tops throughout the year. Each box top is worth 10 cents for Thompson. Drop off your box tops @ the Thompson lobby. Stop & Shop A+ Rewards for the 2018-2019 school year concluded on March 19th. Schools will get paid in June, and start earning again in September!